LOOVEEEEE your outfit! It was so nice meeting you today at Tout Suite! Recently, the Mr. and I drove to Los Angeles. 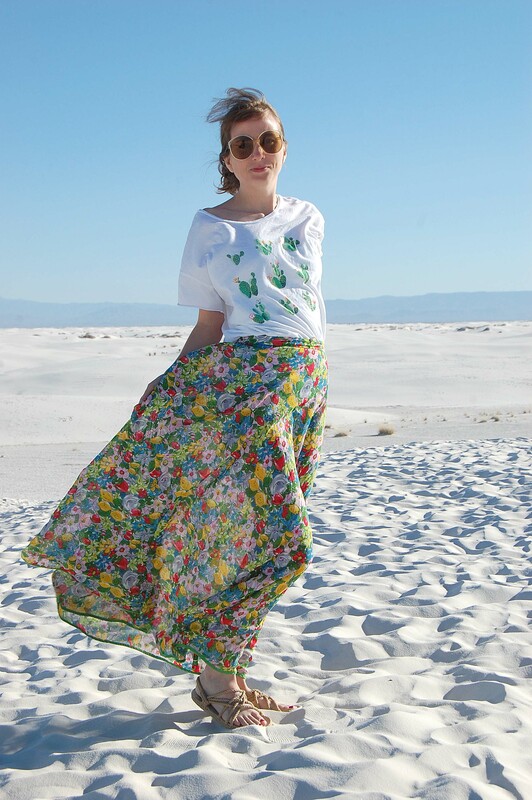 We stopped at White Sands National Monument for a couple days. 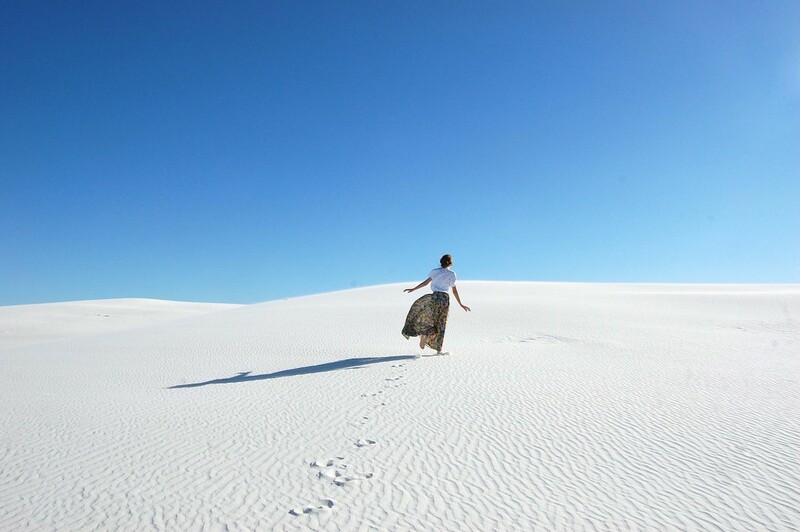 It has incredibly beautiful landscape, with soft white grainy sand (gypsum) dunes encompassing miles of acreage. Once inside the park, you meander for a bit, passing by vegetation and sand dunes, until your car leaves the pavement and enters the main section of the park (barely vegetation and mostly dunes). The roads are covered in white; emulating snow. Funky picnic areas dot various areas. We got to experience the Sands in time for sunset, as well as in the morning (when the photos were taken). The blue skies were lovely, yet the air was crisp, while also windy (which helped set the tone for perfect photos). This trip proved the perfect opportunity to break out my Corda rope sandals that I won in a giveaway a short while ago. After working with an orphanage for an month in Ethiopia, the folks behind the Corda brand noticed that many of them would leave the program with no job opportunities. After brainstorming, they came up with the idea of creating a brand where they could help the transitioned adult orphans by giving them vital training and sustainable jobs. Each rope sandal is handmade in Ethiopia with eco-friendly and durable rope. They are also 100% Vegan. They are pretty lightweight and machine-washable. Since I was still breaking in the sandals, I did notice that the straps were somewhat stiff, but all they need is a little adjusting. I was assured that the straps stretch about a finger’s width. I’m confident that the more I wear them, the better they will feel. 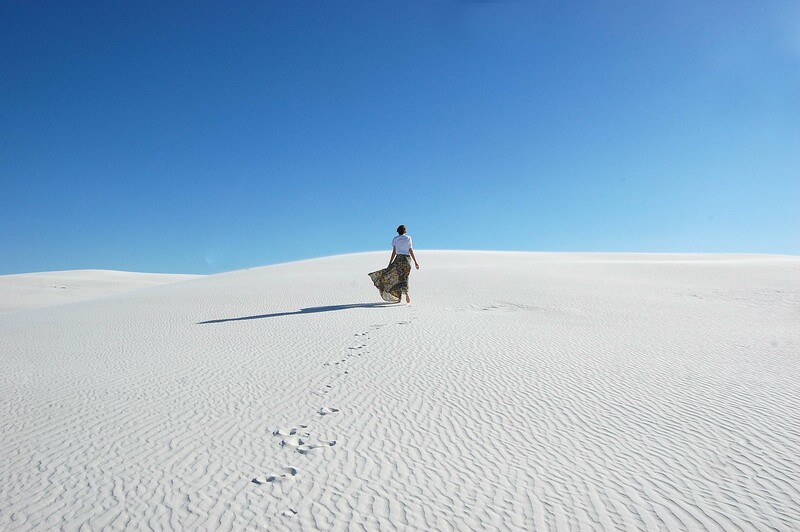 I HIGHLY recommend a visit to White Sands. A great mom ‘n pop place to stay is the White Sands Motel! Looks so amazing! I need to see this one day! How bright and colorful! Also these photos turned out amazing, I’m in love. Great pictures! Y’all captured the sands beautifully! How pretty!! I love that skirt! These images are amazing! 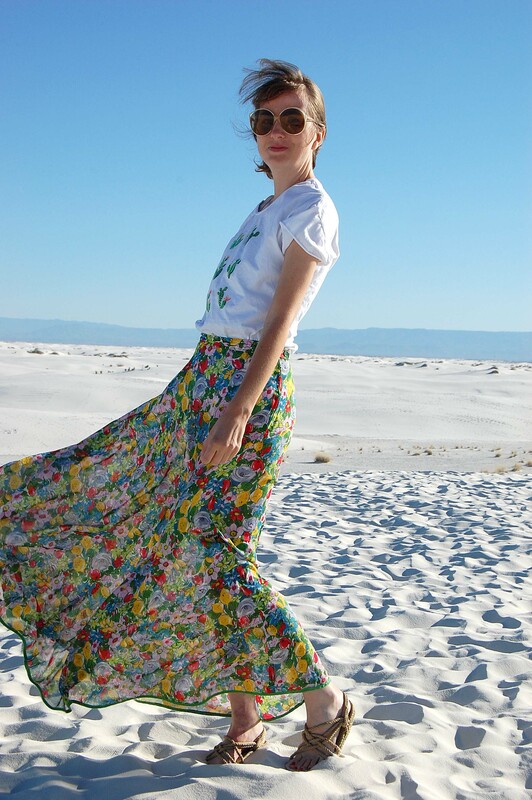 What a gorgeous backdrop for your bright and cheery skirt! What a gorgeous location!! 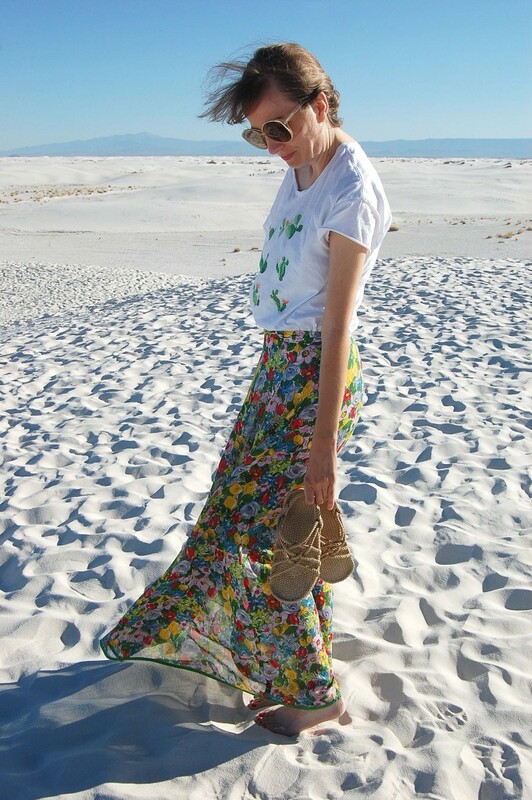 Love your colorful skirt!! Gorgeous pictures! 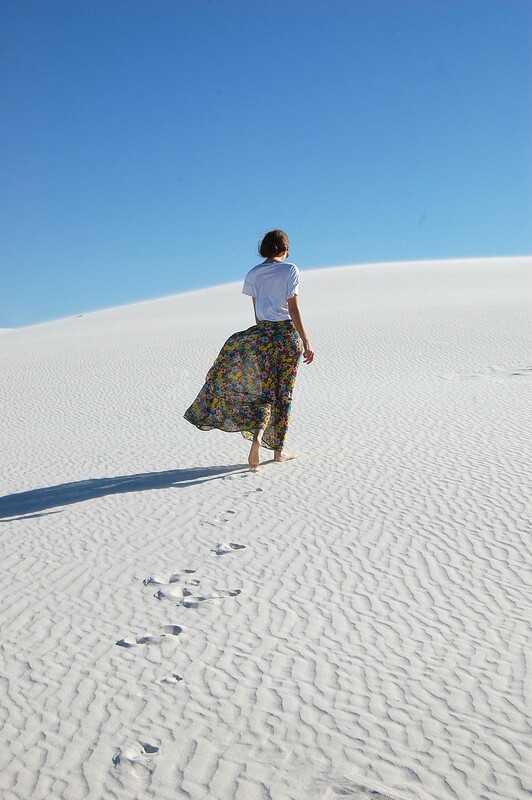 I cant get over the white sand. This skirt is killer! 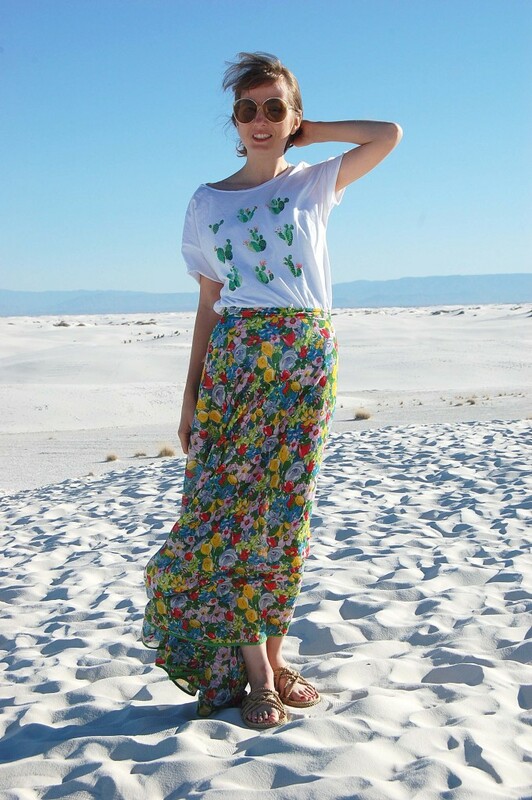 I love the bright summery floral print!! 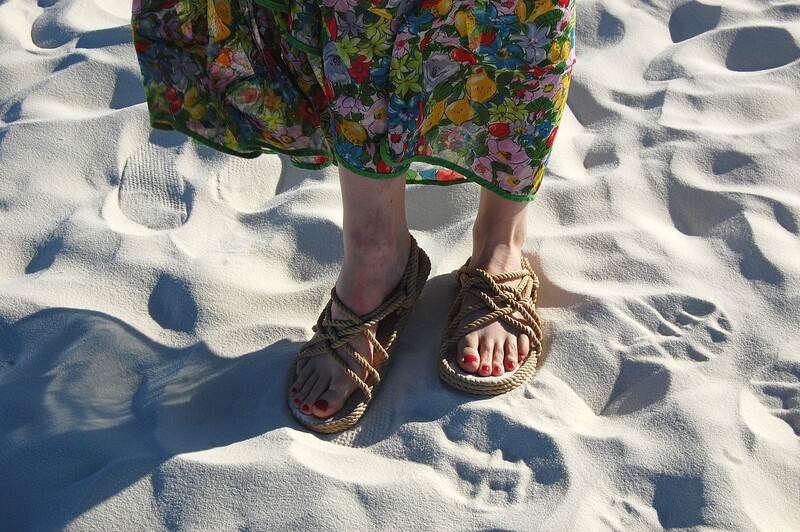 Great photos and I love the story behind the sandals! Oh my goodness! This place is magical. Will have to remember this for our next road trip. Your outfit is perfect for this place. 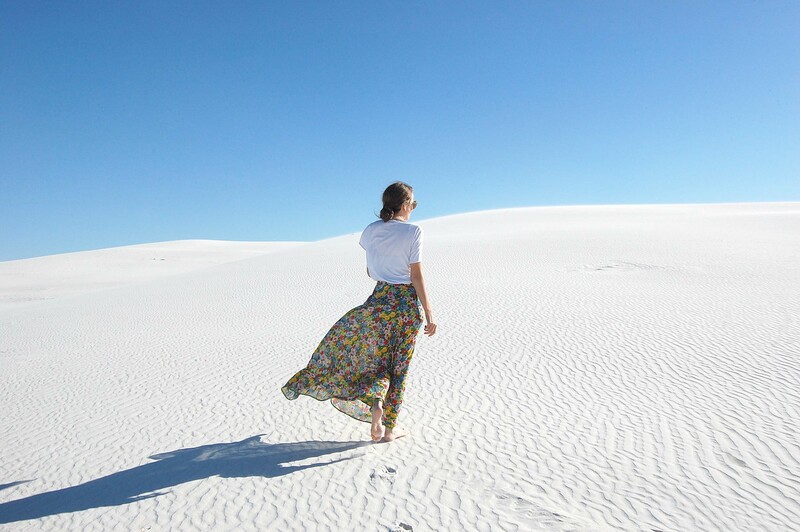 I used to live close go white sands! What an amazing place, and an even better photo location! You look beautiful! Love that shirt!! These pictures are gorgeous!! 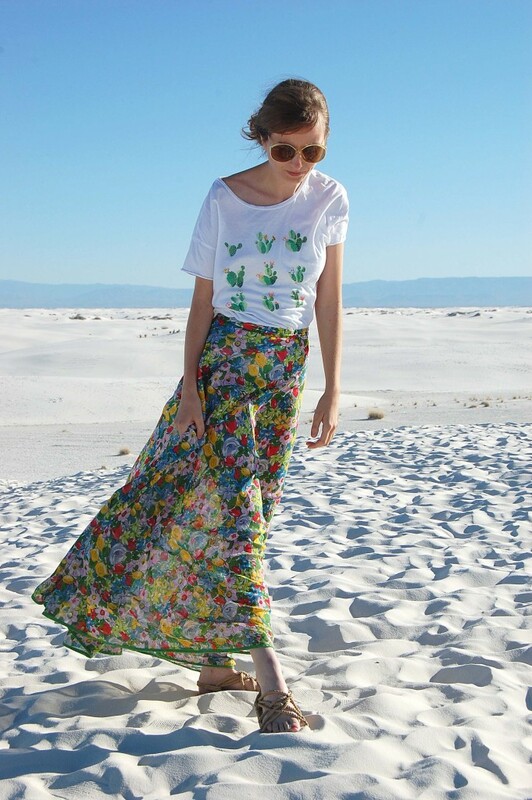 I absolutely love your outfit and that T-shirt is adorable! 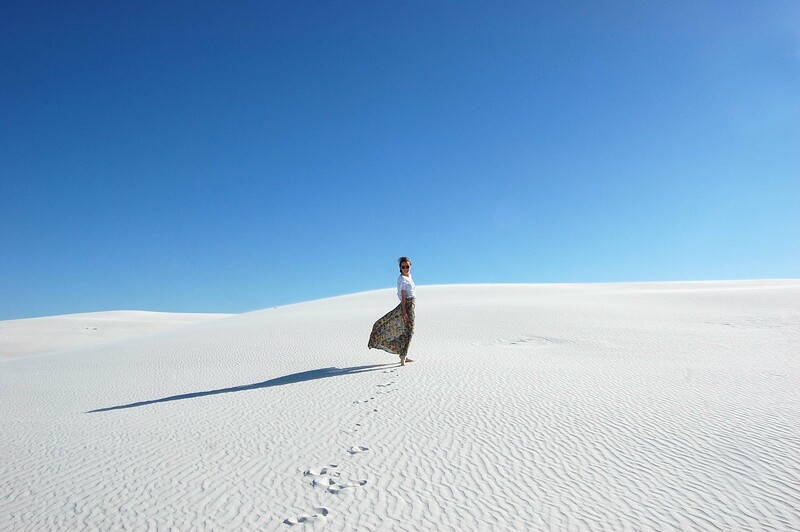 Now that I have seen how gorgeous White Sands is, I am definitely adding it to my travel bucket list!